In 2013, Len Brown was elected by a mere 16.5% of Aucklanders registered to vote. This was the result of an abysmal 35% turnout, and marginal popularity combined with the inevitable consequences of first-past-the-post. Dazed and disillusioned with the new governance arrangements foisted upon them by an arrogant royal commission, which refused to recommend residents of the region be allowed a vote on what shape those arrangements should have taken, Aucklanders performed about six percentage points more poorly than the already-poor national average. There was immediate government talk of fast-tracking online voting, and eight councils requested to take part. However, just five months out from this year’s elections the plug was pulled on the project in respect to this year’s elections, and is not even possible to register totally online—registration requires forms to be printed, signed and scanned. What particular authentication a smart phone video of the applicant signing their name couldn’t provide is difficult to imagine. Innumerable studies show that voting is a sticky behaviour. Once young people begin voting, the habit typically continues for a lifetime. Older cohorts that missed out are famously immune to admonishments to vote, and the international trend is almost universally downward. The cost-effective intervention, clearly, is for children to begin voting in schools, in shadow elections, and to be automatically registered. Then the only additional information that might be needed, come the local body elections, would be an address, if it had changed. And young people who are yet to permanently fly the coop should be permitted to use a parent’s address, even if this results in the occasional overeager parent postal-voting on behalf of their issue. Kids Voting was introduced 15 years ago, by the former Auckland City Council. By 2007 it had been adopted nationally, and this year at least 40 schools and 9000 pupils will participate in mock elections in the region. But while this is an entirely laudable achievement, there are more than 140 000 year-7-and-upwards pupils in the Auckland Council area. In 2013, Wellsford college pupils participated, but no mock elections were held for Warkworth subdivision candidates. The logical development would be to facilitate the pre-registration of all children year-7 onwards in every school for voting in all public elections, and to publish those ‘pre-registered’ results, but, of course, only have the votes of those who have reached the age of franchise, which should in any event be lowered, contribute to the result. As well as the voting habit being inculcated in their children, many parents who had failed to develop a voting ethic would belatedly be captured by the practice—much as the Forest Bridge Trust’s spectacularly successful schools-based CatchIT pest control programme also deftly recruits the students’ parents. In reversing the trend toward fewer and fewer young people voting, it is axiomatic that statistics detailing how the various cohorts are trending can be studied, in order to detect the possible effects of interventions such as Kids Voting. Despite this, Auckland Council is prevented by government regulation from knowing what percentage, for example, of registered 18–29-year-olds in the region voted in the last election. It is probable that it barely made 29%. In 2010, the year that statistics are available by age cohort, the highest voter turnout, 89%, was in the 70-plus age group. 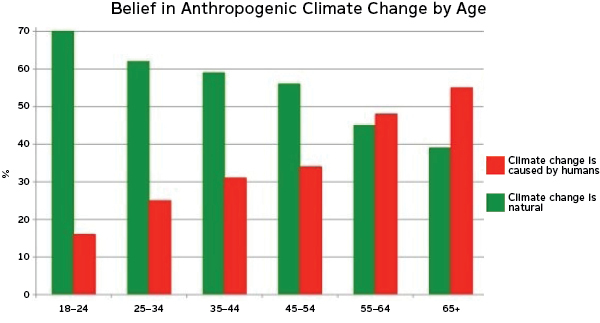 Aside from their engagement being the key to arresting the erosion of democracy, the current absence of representation of young people has allowed an aged cohort with scant comprehension of, and little interest in, the existential threat of global warming to prevail as the principal policy makers. That’s the Ticket; Yeah Right… Wing: A major reason for the abysmally low local government turnout is a lack of knowledge about the candidates. In general elections, voters at least know which party-line the candidate will follow. In Aotearoa, unlike in the United Kingdom, the two older, dominant political parties are reticent about showing their true colours, hence the likes of this, seriously disgraced, National-in-drag ‘Cits & Rats’ ticket. A perennial impediment to conducting programmes such as Kids Voting in schools is finding time in already crammed curricula, and hard on the heels of this year’s local elections is next year’s general election. Generally, local elections will have more relevance to intermediate and college pupils than general elections. For example, one of the issues that has vexed and eluded Warkworth subdivision local board members is that of the self-evident need for a public swimming pool. This is much more likely to interest local students than the Labour Party’s housing policy or the National Party’s alleged lack of one. But it doesn’t have to be either-or. By holding local and general elections concurrently, not only is the cost of holding them halved, so are the demands on the curriculum. The electoral cost saving would be more than sufficient to pay for all the electoral reforms needed to restore Aotearoa to its former distinction as the world’s most democratic country, including paying for the resources required to expand Kids Voting into a universal, comprehensive registration and ‘underage’ voting system. There are high hopes that Mahurangi College will follow the example of Rodney College and join Kids Voting, before Monday afternoon’s deadline, but meantime there are exactly two weeks remaining during which dozens of Mahurangi 18–29-year-olds could be enrolled to vote in the real thing, in 2016. 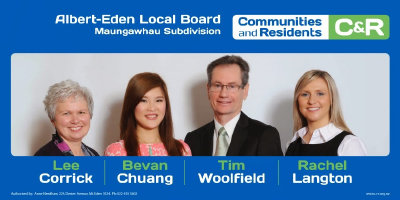 The chances are high that every reader of the Mahurangi Magazine knows at least one member of this cohort who could be chivvied towards the Electoral Commission’s (largely) online enrolment application form.